The D.C. Shorts Film Festival wraps up this weekend, with Best of D.C. Shorts shows on Saturday and Sunday at various locations. Relish in an afternoon or eveningof raw cinema and fun. Sat. 7 and 8 p.m.; Sun. 4 and 6 p.m.; $12. The Korean-American Association's 10th annual Korus Festival runs Sept. 14-16, highlighting Korean entertainment, food and culture at Bull Run Regional Park (7700 Bull Run Drive, Centreville, Va.) Fri. 11 a.m.-10 p.m.; Sat. 11 a.m.-10 p.m.; Sun. 11 a.m.-10 p.m.; free admission. The Great Frederick Fair (Frederick Fairgrounds, 797 E. Patrick St., Frederick, Md.) runs Sept. 14-22 and features include home & arts demos, a carriage display, a breed showcase, and grillers' challenges. 9 a.m.-10 p.m.; free admission. Bruce Springsteen & the E Street Band heads over to Nats Park (1500 S. Capitol St. SE) with their Wrecking Ball World Tour. Described by Rolling Stone as "gorgeous in its rawness," the tour is slated to be one for the record books. Tickets are officially sold out, but there's always StubHub and Craigslist. 7:30 p.m.; $130 & up. The H Street Festival (between 8th & 14th streets NE) celebrate the District with live performances, a fashion show, food, face painting, a tattoo contest, dog beach and more. Noon-6 p.m.; free admission. The National Museum of African Art (950 Independence Ave. SW) hosts a community day with dance performances, prizes, henna painting, and free Qi Gong and Zumba classes. 1-5:30 p.m.; free admission. The Washington National Opera's Anna Bolena begins Saturday, running through Oct. 6 at the Kennedy Center (2700 F St. NW). The Donizetti opera depicts the events leading to the death of Anne Boleyn. 6 p.m.; 25-$300. County fair season's winding down, but the Anne Arundel County Fair (1450 General’s Highway, Crownsville, Md.) is just getting started. 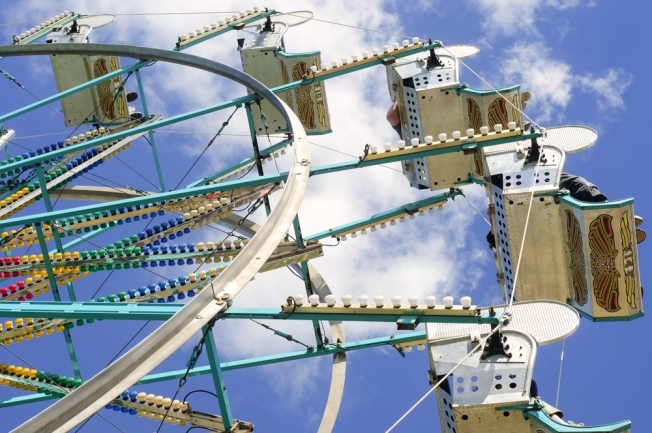 You'll find a full day of entertainment for the entire family with carnival rides, games, monster trucks and pie eating contests. 9 a.m.-8 p.m.; free admission. Celebrate Hispanic Heritage Month during Fiesta Musical at the National Zoo (3001 Connecticut Ave. NW) . You'll find authentic crafts, gourmet cuisine and entertainment. 11 a.m.-4 p.m.; free admission. Divided into four zones, the Gaithersburg Festival is sure to have a little something for everyone. The four festival zones are Green, Healthy Choices, Global and Kids. 2-5 p.m.; free admission.